Hi, I made this account because I have an extreme case of arachnophobia, with the only exception being tarantulas. This morning, at about 7:30 am, I spotted and caught a spider that I thought was dead, but I was wrong. Can anyone help me identify what this is? 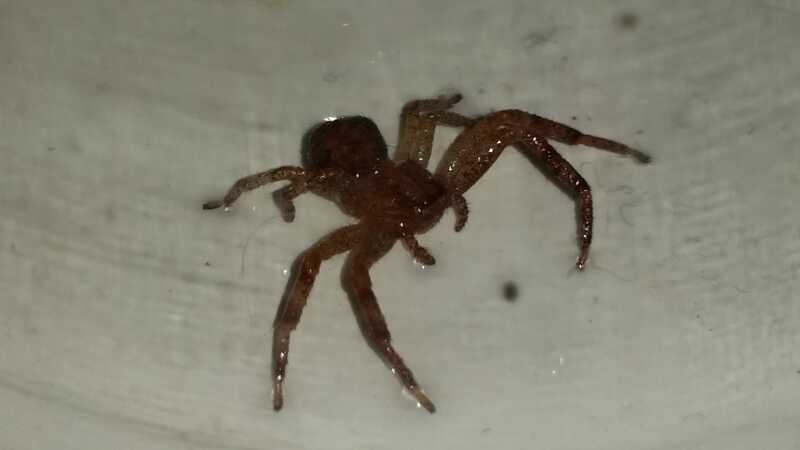 I live in southern Virginia and no images I search seem to fit this spider's profile. Hi, thank you for posting. You’re doing well working against your arachnophobia. You took a picture of a spider and cared what kind it is. Then you looked at a bunch of photos of other spiders. I know people far less willing to make themselves do any of that. Check out the peacock parachute tarantula, it’s really cool. I think this is a crab spider, but I don’t know which species. Their super power is camouflage. They can alter the chemicals in their cells to change to the color they see around them. That could be SO useful sometimes!